What gets measured gets done and, ideally, gets improved. 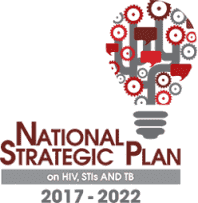 As the South African National AIDS Council (SANAC) nears completion of the next National Strategic Plan (NSP) on HIV, TB, and STIs (2017-2022), lofty ambitions for positive outcomes are in place. However, what provinces and districts are expected to measure in order to track implementation and incremental steps toward these goals is—at this point—completely absent from the NSP. Correctly, the NSP aims to achieve substantial reductions in HIV infections to fewer than 100,000 per annum by 2022, and reach UNAIDS 90-90-90 targets by 2020 for HIV testing, retention in care, and viral suppression. Biomedical and social service approaches to HIV prevention are also prominent, including tackling the national epidemic of sexual violence. On the TB front, the NSP similarly seeks to close the gaps in prevention, diagnosis, treatment initiation, and treatment success, and specifically notes the special attention that must be paid toward bringing the drug-resistant TB (DR-TB) epidemic under control. [i] The wish-list of goals in the NSP leaves out very little. But these targets are expected outcomes—and outcomes do not evolve from a programmatic void. The resulting pie-in-the-sky document makes it difficult for communities most affected by HIV and TB to hold to account AIDS Council governance structures and government departments. National success depends on smaller programmatic successes at district, sub-district, and service provision level. Monitoring and evaluation (M&E) standards must therefore be put in place at these system levels to ensure people are able to access services intended to lead to achievement. For example, the intention to put half a million adolescents on PrEP by 2022 is overdue and welcome. But where is the breakdown for what districts are expected to contribute to that national total? High-burden districts like King Cetshwayo (formerly uThungulu) in KwaZulu-Natal have HIV incidence rates among adolescent girls that skyrocket to 6.2% by age 19[ii] –far exceeding the WHO threshold for PrEP eligibility. These districts should have very specific targets for the number of adolescents that should start and be retained on PrEP. But districts and sub-districts should also have ambitious targets in place for the proportion of schools offering HIV testing services and referrals to preventative services such as PrEP, or for the proportion of facilities implementing youth-friendly services—such as staying open after-hours on some days of the week. It is through monitoring these types of indicators that we can ensure that districts are offering services that put them on track to meet targets. At the 21 February 2017 consultation on Draft 1 of the NSP, interested parties were invited to participate in shaping indicators and targets for the provincial implementation plans. A long list of possible indicators was shared with this group. Some indicators were intended to be aggregated at the national level to measure major outcomes—such as the number of people on antiretroviral therapy—but a number of process indicators were also proposed that, if well-designed, could be used to measure programmatic implementation progress down to the sub-district level. It was not clear if provinces were required to report on any of these process indicators, or if they are merely expected to select those they find interesting or convenient. Outcomes of this meeting were—to our knowledge—never published online or shared, making it extremely difficult for provinces to incorporate programmes and M&E support into their implementation plans. However, it is not too late for provinces and high-burden districts to be offered guidance on what to prioritize. Not everything must be done everywhere, but certainly a bare minimum must be universally required across the country, and high-burden districts must be required to implement additional interventions beyond the minimum. Proportion of CHC/district hospitals and PHC facilities in high-burden settings providing comprehensive DR-TB services (diagnosis, treatment initiation, continued management –Target 100% of PHC facilities in high-burden settings; target minimum one facility per sub-district in lower-burden settings. Total of 800 facilities by 2019; total of 1000 facilities by 2022. Proportion of PHC facilities not providing 3-month ART refills to stable ART patients – Target <5% of facilities by 2019; 0% of facilities by 2022. Proportion of PHC facilities per sub-district achieving ratio of one lay health worker: 800 people within community (with 25% of lay workers facility-based; 75% community-based – Target 80% of facilities by 2019; 100% by 2022. Proportion of treatment sites (including community pick-up points serviced by Central Chronic Medicine Dispensing and Distribution) experiencing stock outs of ARV or TB meds – Target: <10% by 2019; <5% by 2022. Proportion of PHC facilities in HIV high-burden districts and CHC in all districts offering after-hours/Saturday services for ART initiation and/or ART refill collection – Target 75% by 2019; 90% by 2022. This approach will require strengthening data capturing and M&E systems, and the public must have access to data if those responsible for action are to be held to account. It is mandatory to invest in requiring and measuring programmes if we are to avoid frittering away the next five years. When sub-districts receive specific guidance, they are inclined to implement it—this is evident in the massive uptick in numbers enrolled on HIV treatment, or registered to receive their medicines at community pick-up points. And if government departments or other stakeholders do not implement programmes, or do not run them well, then a robust M&E system makes it obvious where intensified efforts should be directed to improve the quality and availability of HIV and TB services. South Africa knows what it wants to accomplish in reducing the national burden of HIV and TB over the next five years. The major question remaining is whether or not it will measure up to the task before it. [ii] Grebe E, Huerga H, van Cutsem G, Welte A. (2016) “Cross-sectionally estimated age-specific HIV incidence among young women in a rural district of KwaZulu-Natal, South Africa” presented at the 21st International AIDS Conference. July 18-22 (2016), Durban, South Africa.